A background in Computer Science, the early dot.coms and technical support, Anthony has been helping others leverage the Internet and related technologies, since 1996. After years of working on the web, he decided to take what he learned and use it to offer IT & Web related technologies in Hawaii. Anthony operates an independent, family-owned company called islandgeek. He provides personal customer service to maintain quality and utilize the best the web has to offer for his select customers. 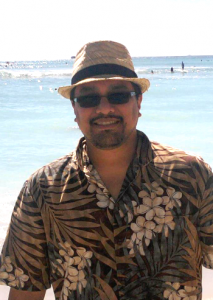 Through his inter808 local Hawaii services, Anthony manages the cloud hosting, email and technology consulting for SLF Hawaii. He is enjoying life with his 8 kids, wonderful wife of 20 yrs plus and living on the island of Oahu.